Telephone psychic jobs are always available for genuinely gifted souls who want to work from home. It doesn't matter if you are a seasoned pro or an absolute newbie, I would like to guide you towards the trusted esoteric marketplaces and away from the high-pressure dodgy hotlines. First you will need to be brutally honest with yourself. Can you say YES to being a truly gifted psychic reader? If you can’t, nor will your clients! Don’t go looking for paid psychic work until you have a solid belief in your own psychic abilities. Many wannabes try to make money in the psychic advice arena thinking that cold reading techniques or counseling skills will get them into this buoyant business. But they don’t last long. Unfortunately these scammers give the rest of us a bad wrap while they crash and burn, but that’s life. So if you are not yet a confident professional, I suggest you spend some time with my lessons for developing real psychic ability. Then, when you are ready to consider which telephone psychic jobs suit you, come back and check my updates. OK, so you are one of the real psychics and you want to know all about telephone psychic jobs, what options are best for you and how you go about getting into this business. Great, here we go. Psychic self employment is a great way of life. I, for one, have always loved my psychic work and the lifestyle it gives me. When I started professional psychic reading it was face to face with clients in my New Age Store. And when I first joined a psychic phone network it was after I moved to a new location and was recruited by a good psychic friend already working with the line. There are lots of similar options to telephone psychic jobs. You can offer online psychic chat, Skype calls, webcam work and even text and email psychic readings if you don’t like talking on the phone. Develop your own specialty. Whatever way of connecting with clients you choose it’s always good to develop a particular niche. Perhaps you are great at analyzing dreams. Or are you a psychic medium, spiritualist medium, perhaps you are better at giving psychic tarot readings? How about doing palm reading online, by getting your clients to email a photocopy of their palms? Can you offer numerology or astrology readings? Giving psychic past life regressions is another theme worth considering if that is your forte. Some clients will want to know how to end a relationship, others how to save a relationship. Often it’s nothing to do with relationships at all. You name it people want to get psychic advice about it. Psychic predictions can be provided in many ways, just look through my A to Z list of psychic abilities for more ideas. 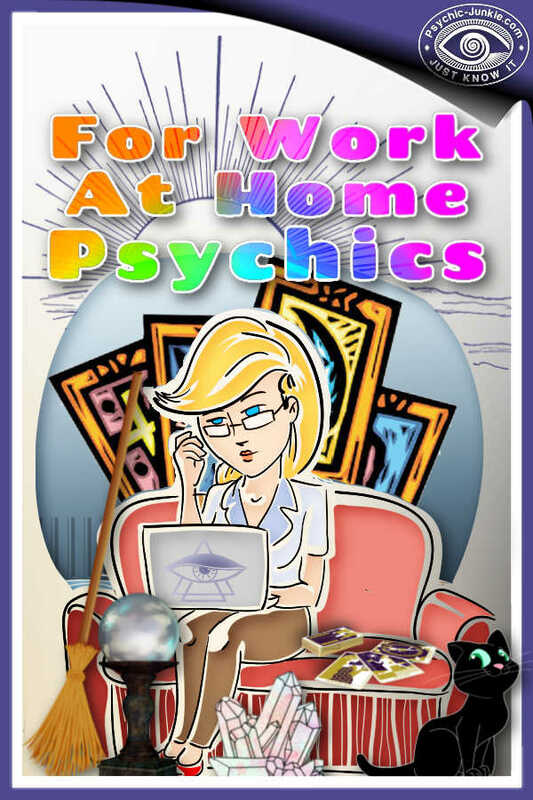 Whatever your talent you can find a way of incorporating it into work from home psychic self employment. Develop trust. Clients look for insight from psychics they can trust. You will build trust because being a real psychic you ‘get it right!’ When you build trust you develop a regular client base, one that supports you long term. How to get yourself into the telephone psychic jobs market. First, find a company to work with that will give you a firm financial foundation. You want to join forces with one of the large and well established psychic companies. Avoid, like the plague, any company advertising premium numbers. Premium numbers have been outlawed in many countries, but they do still exist out there. You are in dodgy territory with any phone psychic jobs you see with these hotlines. You want to check out the reputable companies and the reputable firms all have easy access free-to-call-in numbers. The dodgy psychic hotlines ONLY have premium numbers. They are very difficult to contact and if you do start working with them they will push you to stretch the calls past certain minimums or they withhold paying you. Don’t waste your time. If you are a good psychic, stick with good psychic companies. Call the customer service number and ask for an application to become one of their readers. They may put you on a waiting list if they have a full quota of readers. But that’s OK; apply to a few more telephone psychic jobs until you click in with the right one. You will be tested and appraised then taken on if all is well. You will be self employed and that means you handle your own taxes. You may also be contracted to work with only the one company. That’s good ethical practice. Although you can set up a second line to your psychic business, under no circumstances EVER bring a client of one company over to another or to yourself. It’s not ethical and most likely not allowed if you read the small print of the contract you will sign.